Wonderful trip to Norway, I hope it will become pleasant tradition. Marina Grigorieva and me were treated as VIP guests, everything was perfect. Thank you Lone and Terje! We entered two juniors to this show: Raven's Tot Jive Me Crazy (Ravi) and Raven's Tot Just Dance (Britney). Ravi won junior class, became Junior Norwegian Winner 2013, and Best Male, getting also title Norwegian Winner 2013! Finally Ravi went BOB! 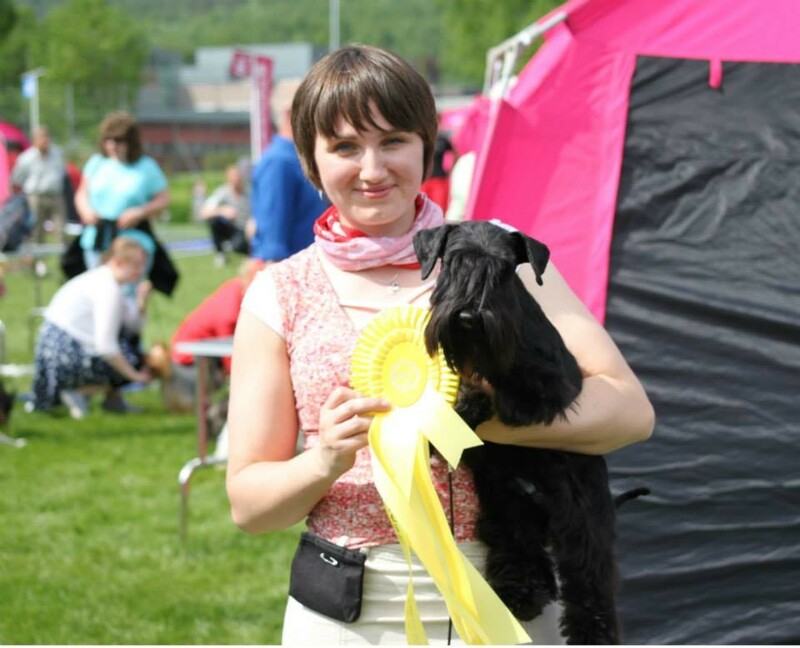 Britney won junior class, became Junior Norwegian Winner 2013, and was 2nd Best Female. Congratulations to Lone and Marina, thank you for wonderful weekend! Marina with Britney (Raven's Tot Just Dance) travelled to Latvia and took part in Baltic Winner 2013. 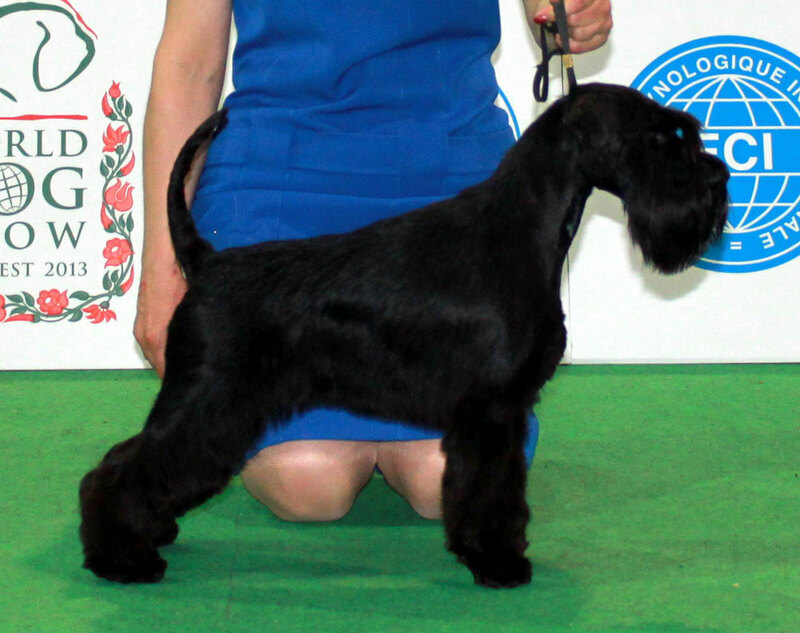 Britney was shown in intermediate class. 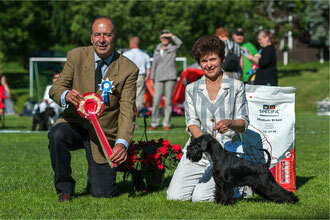 Breed judge Benny Blid von Shedvin, Sweden. 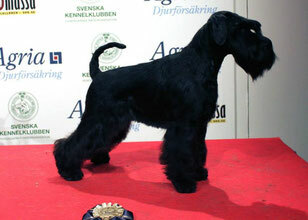 Britney was BOB, CAC, CACIB and got title Baltic Winner 2013! In a group competition she was BIG-3!!! Marina and Britney - you are great team! Congratulations! 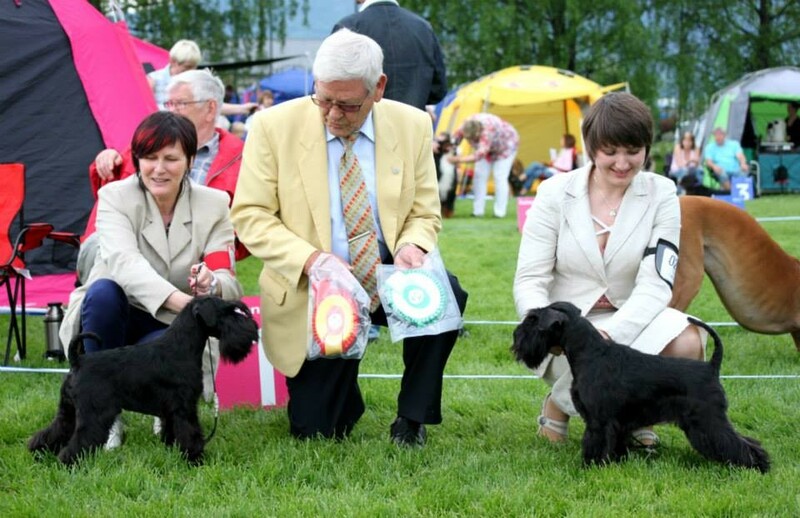 Two dog shows on Saturday in Saint-Petersburg. 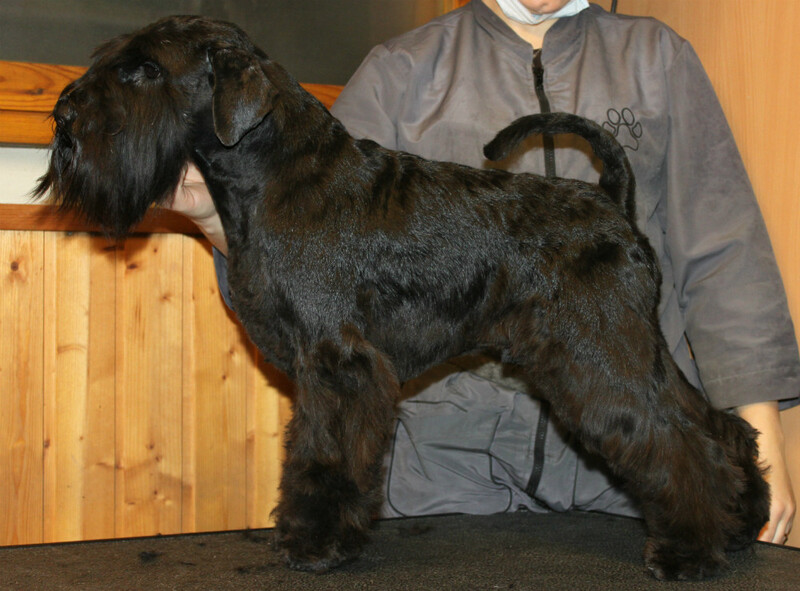 Miniature Schnauzer Specialty. Judge M. Kozlowska. Raven's Tot Just Dance (Britney) - BOB, Club Winner and BIS-3! 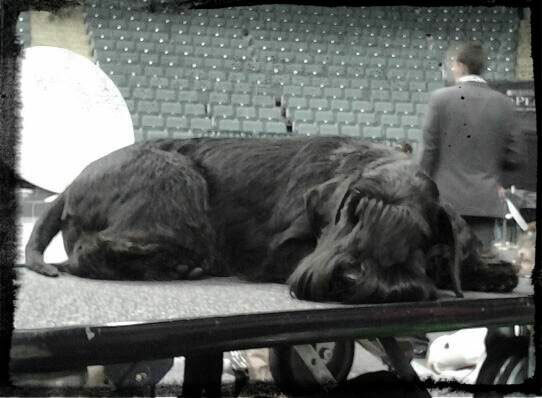 Regional dog show. 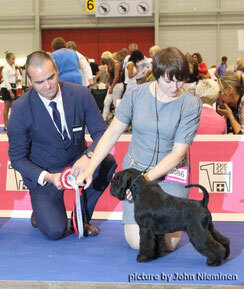 Judge in the ring - D.Prozorov, in the group - M.Kozlowska. Britney BOB, CAC and BIG!!! 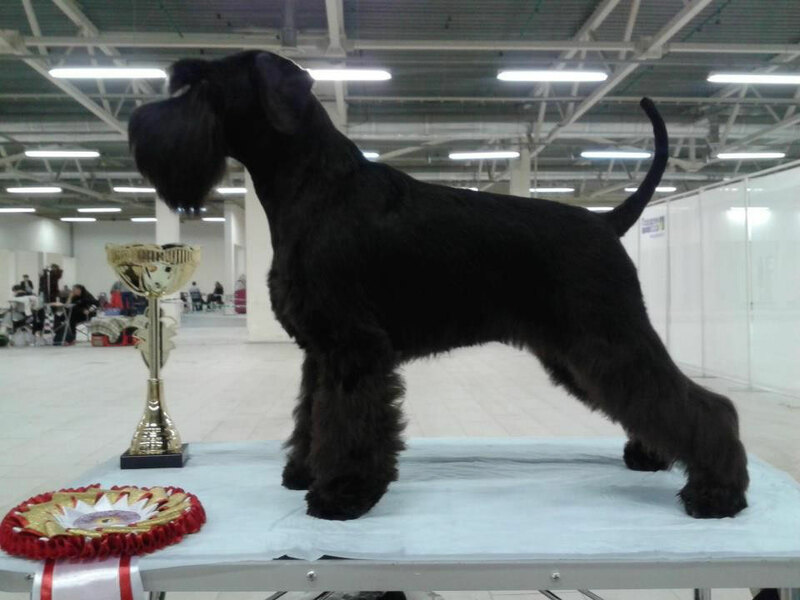 In blacks: Nouzer's Magical Black, who celebrated 2 years birthday on Saturday, very next day got her CAC and became Finnish Champion. She was BOS and got also CACIB. 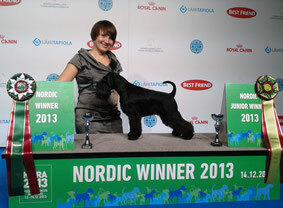 Congratulations to breeder Leena Nousiainen with first black champion, it couldn't happen faster than this. 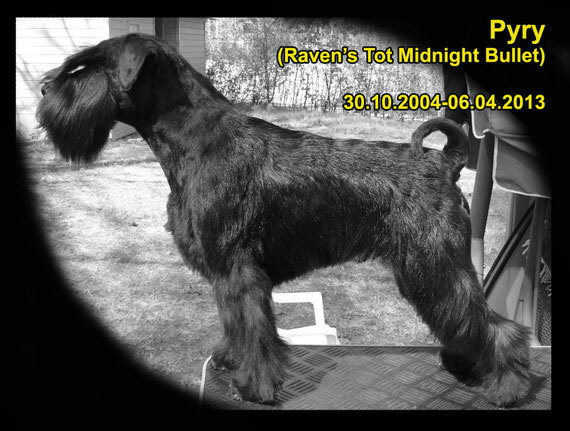 Our Black&Silver boy Raven's Tot Improved With Silver (owner & handler Jin Kaakinen) was BOS, got CAC and CACIB. Congratulations Jimmu! EDS 2013 was held in Geneva, Switzerland. 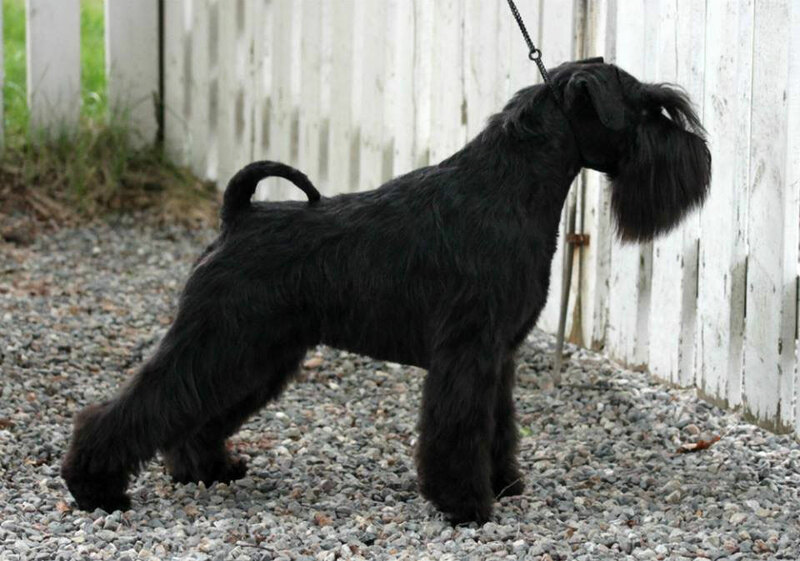 Black miniature schnauzers - 58 entries. Judge Niksa Lemo, Croatia. Raven's Tot Just Dance (Britney) was shown in Junior class. 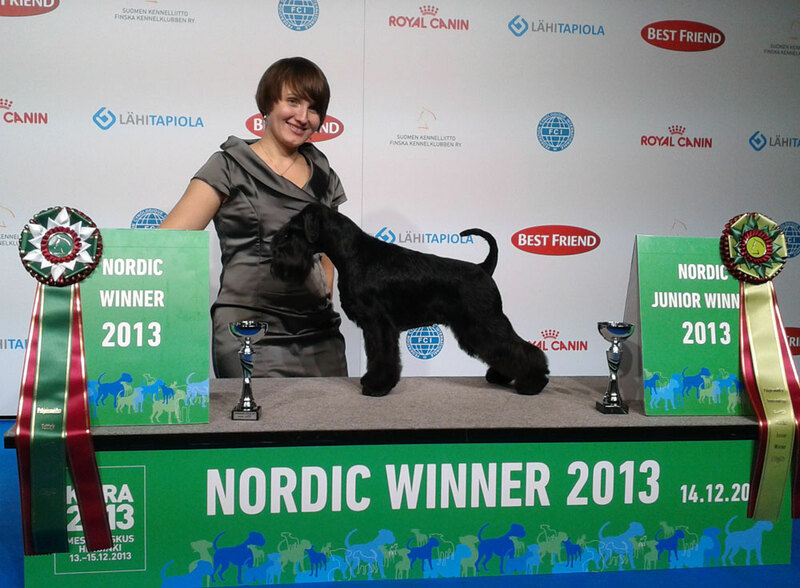 Britney won Junior Class, became Junior European Winner -2013, and in addition went BOB!!! In Junior Best In Group competition Britney was shortlisted among 6 best dogs, under Cristine Rossier, Switzerland! Congratulations to co-owner Marina Grigorieva! Weekend I spent in pleasant company of Jelena Gerster (kennel Xebec) and Irina Sidelnikova (kennel Gran Prix). Congratulations to Jelena with Junior EUW-13 title to Xebec Il Grande Silenzio! Thank you my friends for all your messages and congratulations, it made this day even more unbelievable! We had wonderful baltic tour in begining of July. It started in Estonia. 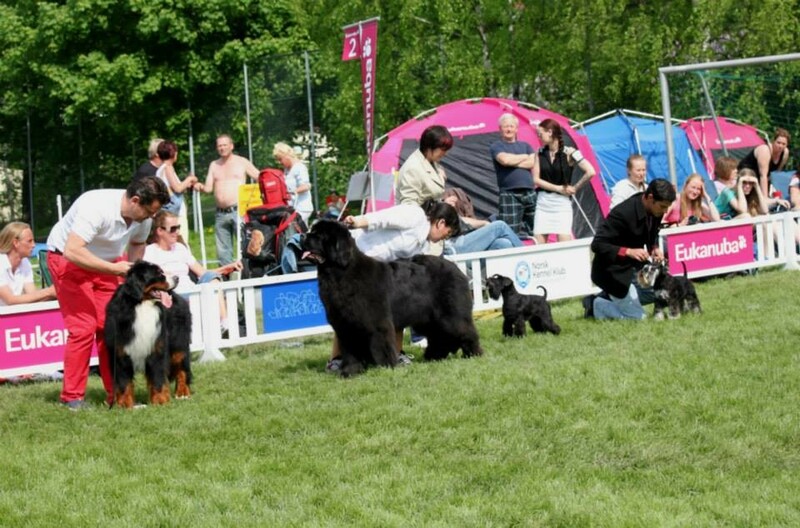 Wonderful day-off in summer-city Pärnu, and International Dog show next day. 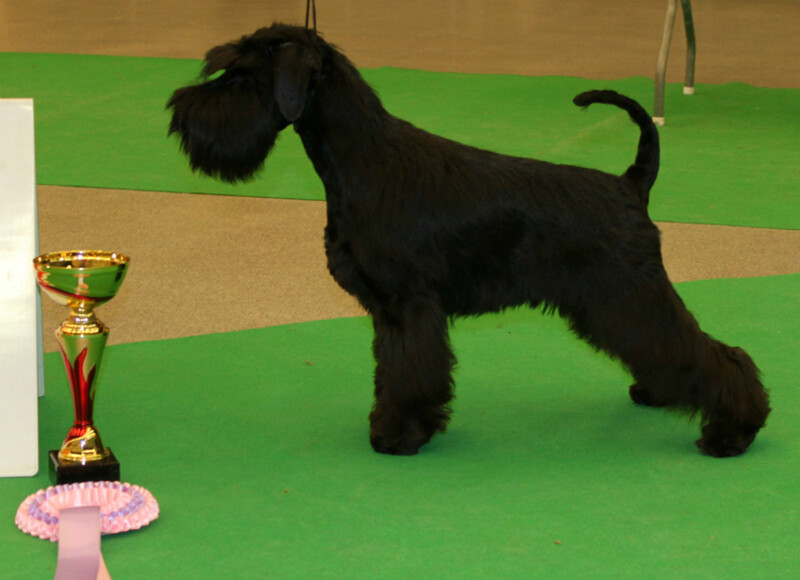 I showed miniature schnauzer Raven's Tot Just Dance (Britney) in junior class. Judge Kiril Barbosov. 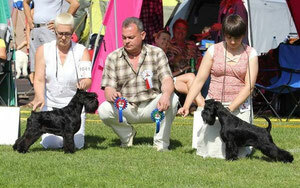 Britney won her class, got junCAC (=> Estonian Junior Champion) was BOS-junior and 2nd Best Female. Also our mascot rabbit longhair dachshund Daks-Veg-As Zeta Jones (Zeta) was BOB and CACIB. 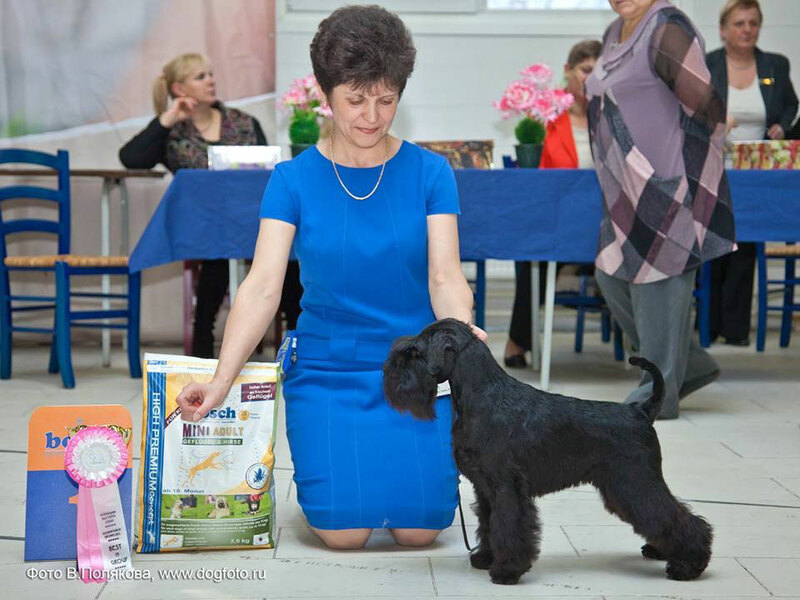 Our little star Britney (Raven's Tot Just Dance) took part in two International Dog Shows in Saint-Petersburg. 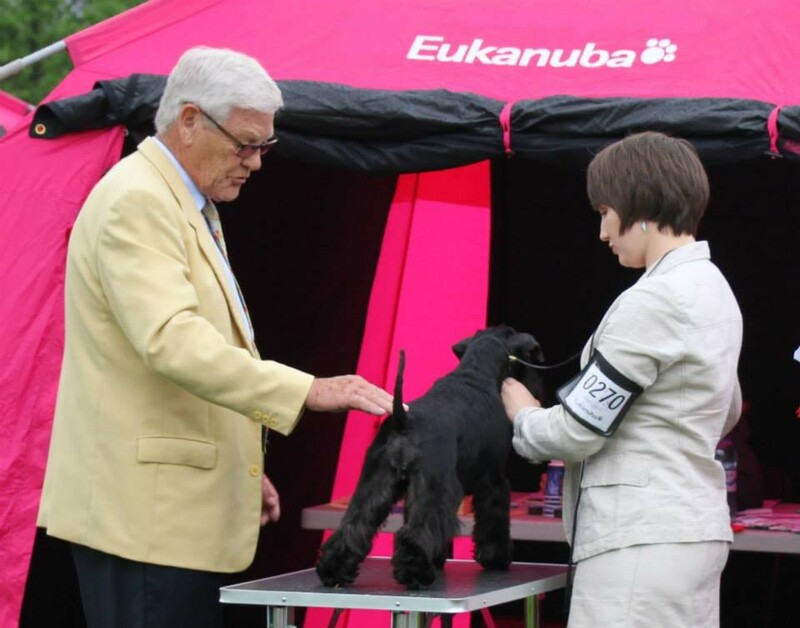 On Saturday, 29 of June miniature schnauzers were judged by Revaz Khomasuridze. Britney won Junior Class and went BOB! With this CAC Britney become Junior Russian Champion! Sunday, 30.06. 2013. Judge Victor Shyjan. Britney was BOB-junior and BIS Junior!!! On 16th of June we had great 10-years party! Together with Nouser's kennel we held our kennels party. Both kennels are 10 years this year. Party became international, thanks to Lone and Marina, who came from Norway and Russia. 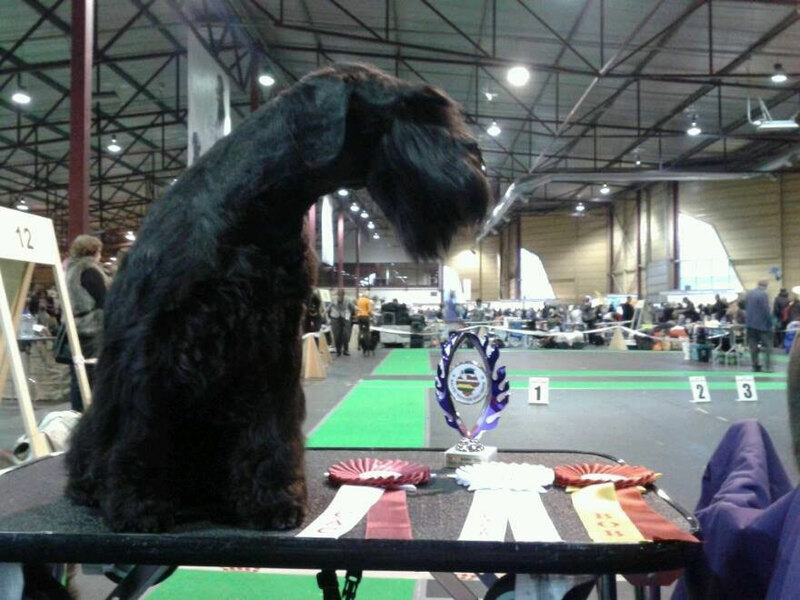 We had funny cometitions, quiz, everyone could try agility, rally obedience and grooming. Participants were competing in teams and everyone got his award. I want to thank Leena Nousiainen (kennel Nouzer's), Ninni Suhonen, Eija Suomi and my family for help in organazing this party. And huge thanks to all participants for great food and wonderful atmosphere! It was pleasure to see you all! 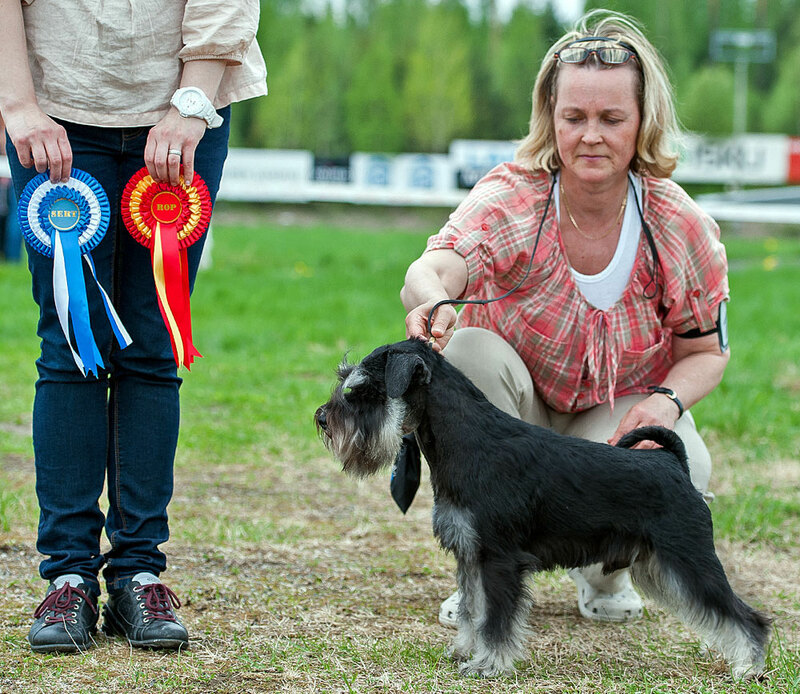 Yearly main event in Finnish schnauzer world - main Schnauzer-Pincher specialty show. Our team was quite international: in addition to finnish sitizens Milla and Robin - little Britney came from Russia, and Ravi flyed from Norway. 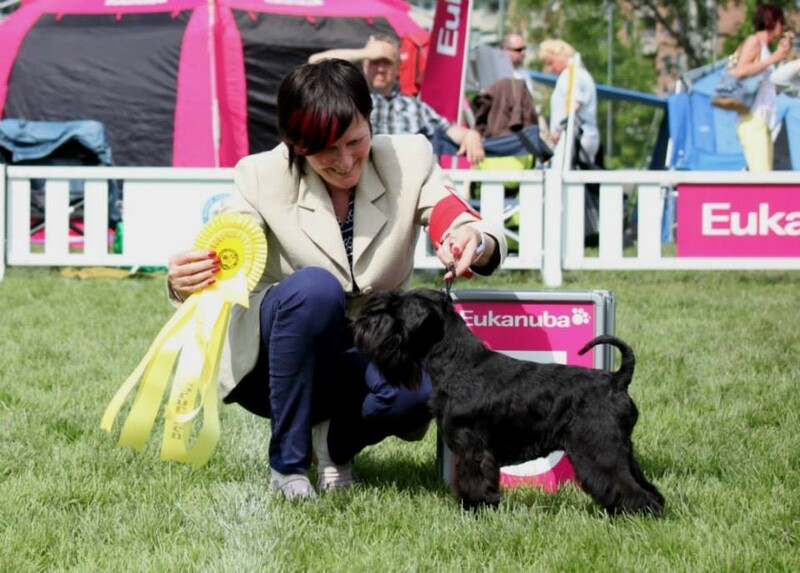 It was also pleasure to share our tent with Panomaks & Elkost kennel ;) . Our judge was PEDRO SANCHES DELERUE from Portugal. in junior class - Raven's Tot Just Dance (Britney) got exc, 1st in her class, BOB -junior and 2nd Best Female, getting her first finnish CAC! In big ring Britney won BIS-junior competition!!! in champion class - Raven's Tot Feel The Rhythm (Milla) got exc, SA and was 4th in class. 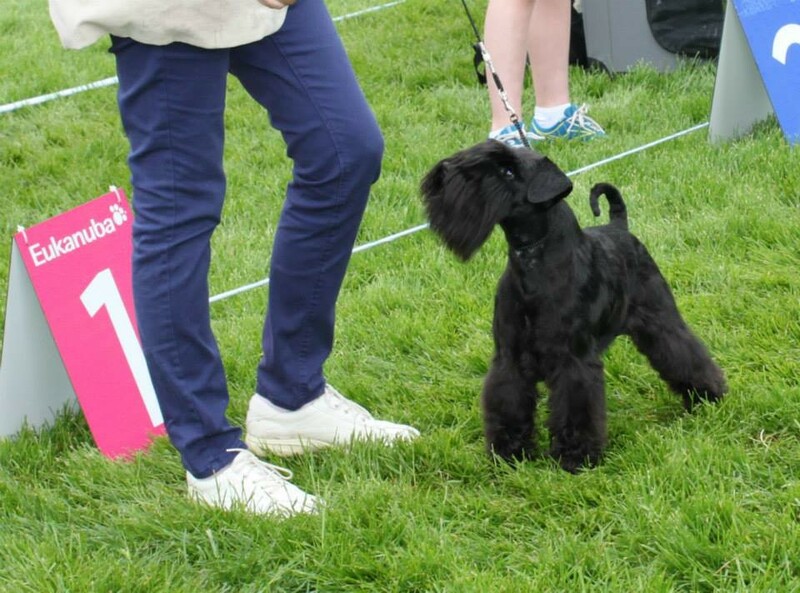 Father of our J-litter - Panomaks Ultra Star, was shown in Champion class and looked fabulous! Thank you Marina, Lone, Sari for excellent work with your dogs! We had wonderful weekend in beautiful Riga-city. Our main goal was to visit two international shows with Milla (Raven's Tot Feel The Rhythm) and Robin (Raven's Tot I Want It All). Judge Agnes GANAMI KERTES, Israel. 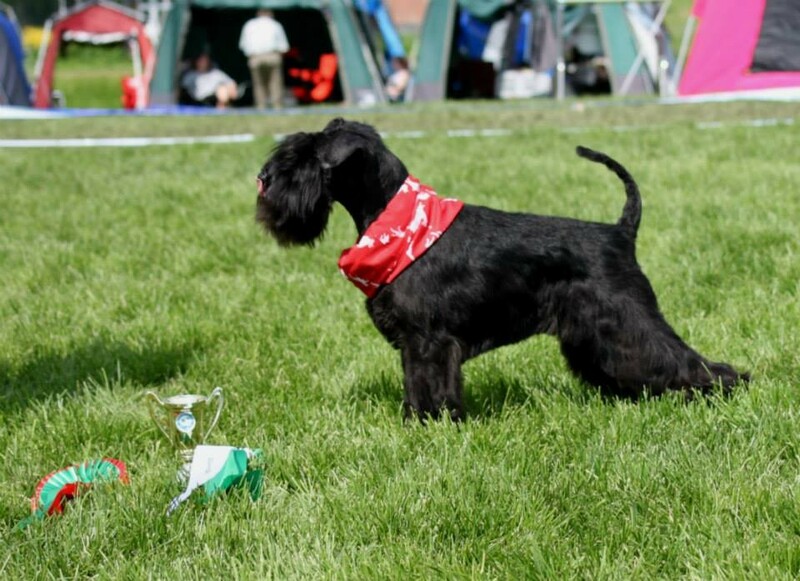 Robin won his class and was 2nd best male, recieving res.CACIB. Milla was 2nd in her class and 3rd best female. Milla's photo by N. Rovio. 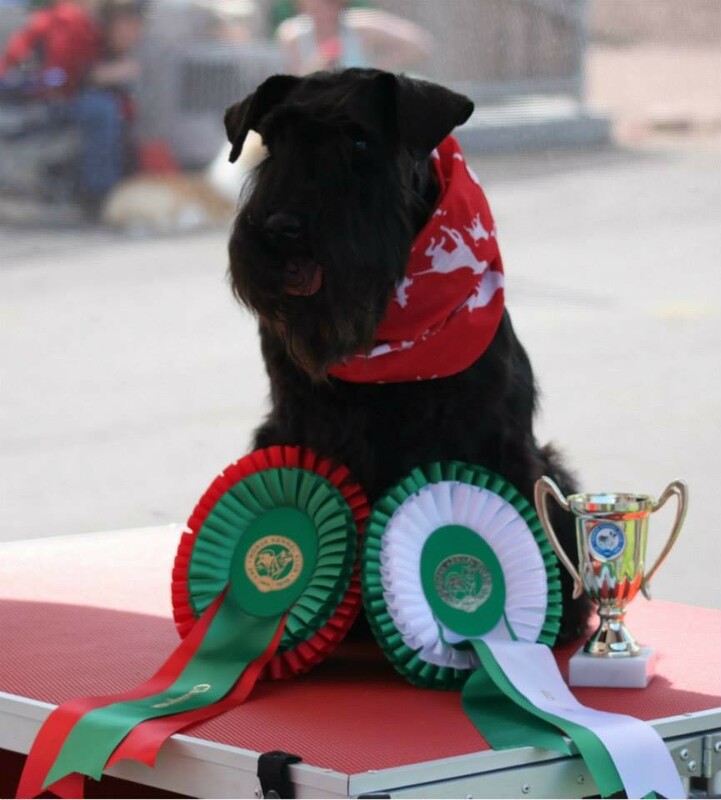 Robin won his class and was Best Male, recieving CAC, CACIB and Crafts Qualification! Milla got exc. and was 2nd in Champion class. 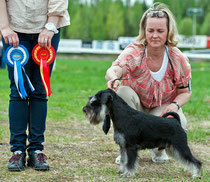 Our black&silver boy Jofiel - Raven's Tot Improved With Silver - took part in FCI group show in Lahti. He got wonderful critic and went BOB, getting his first CAC. Britney - Raven's Tot Just Dance (Panomaks Ultra Star x Raven's Tot Feel The Rhythm) took part in World Dog Show in Budapest. She was shown in Junior class and was placed 4th among 18 class entries! Thank you Marina, we are proud of you both! 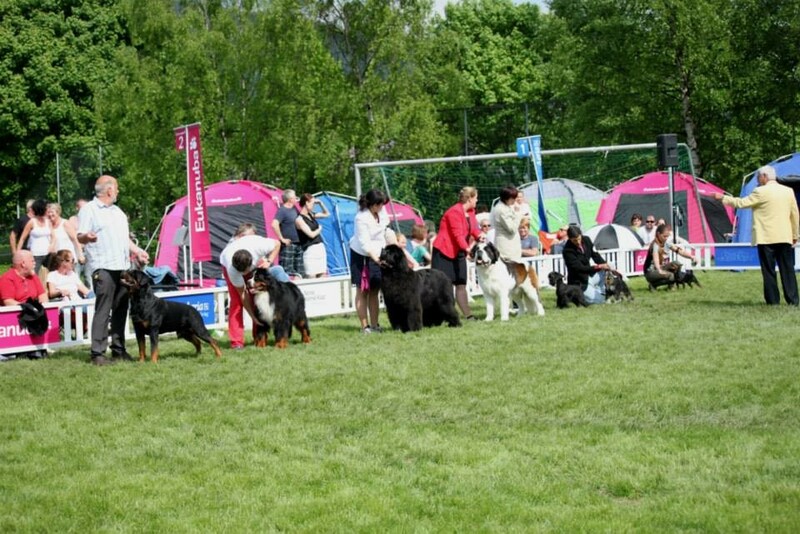 On Sunday in Saint-Petersburg were held two dog shows. 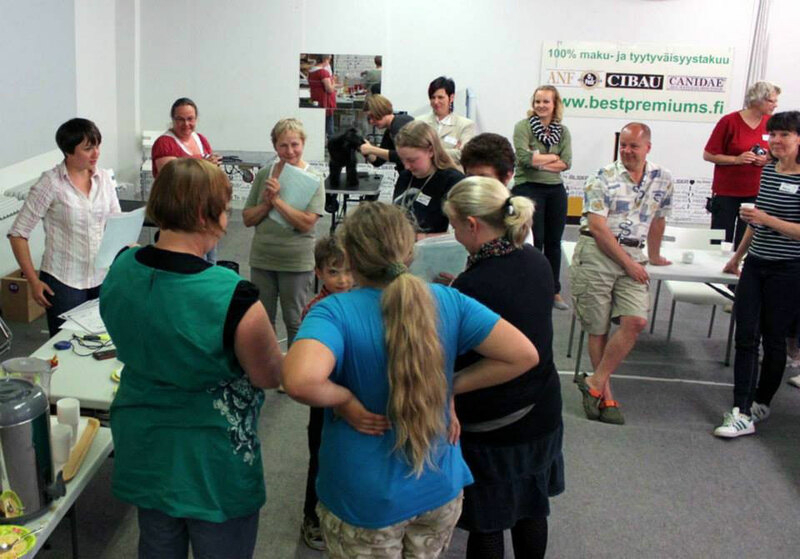 IDS Grand Prix «Spring Petersburg 2013». Judge Ricardo Simoes (Brasil). Our little Britney (Raven's Tot Just Dance) was first time in Junior class. She did a great work with Marina. Won junior class, got her first J.CAC and was junior BOB. 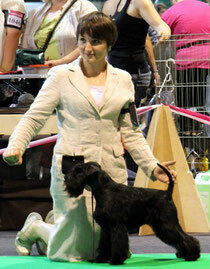 Her mother - Milla (Raven's Tot Feel The Rhythm), worked nicely too, but for judge she was only "very good". I don't know why - critics didn't give a clue ). 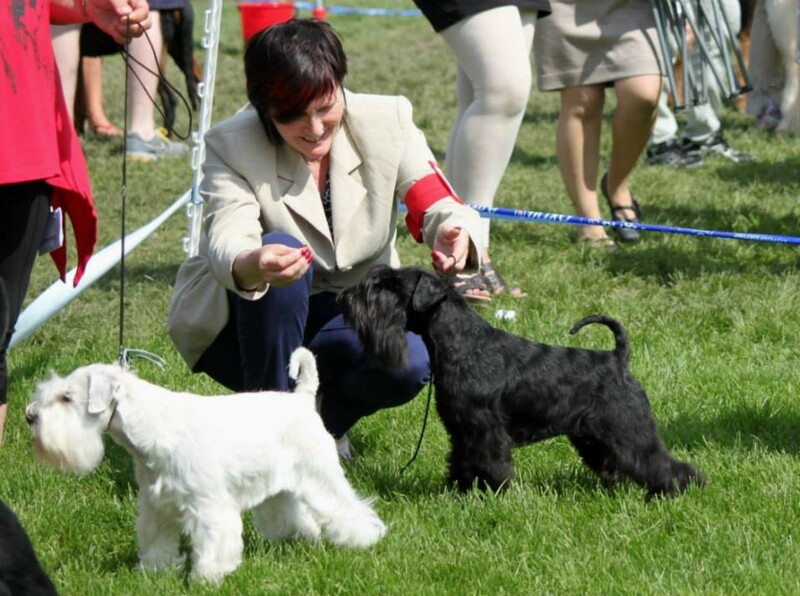 Second show - Miniature Schnauzer Club Show. Judge Paolo Dandina, Italy. In this show participated only Britney. And again our little miss won junior class, now she is Junior Club Winner! Thank you Marina for great work with her! It was pleasure to see you and your wonderful duo! Hopefully more pictures later! In Norway little boy Ravi (Raven's Tot Jive Me Crazy) selebrated his 9 months birthday, and on the very next day took part in couple shows in Eidsvoll. On Saturday judge Philomena Leonard, Ireland. On Sunday judge Jan Stääv, Sweden. 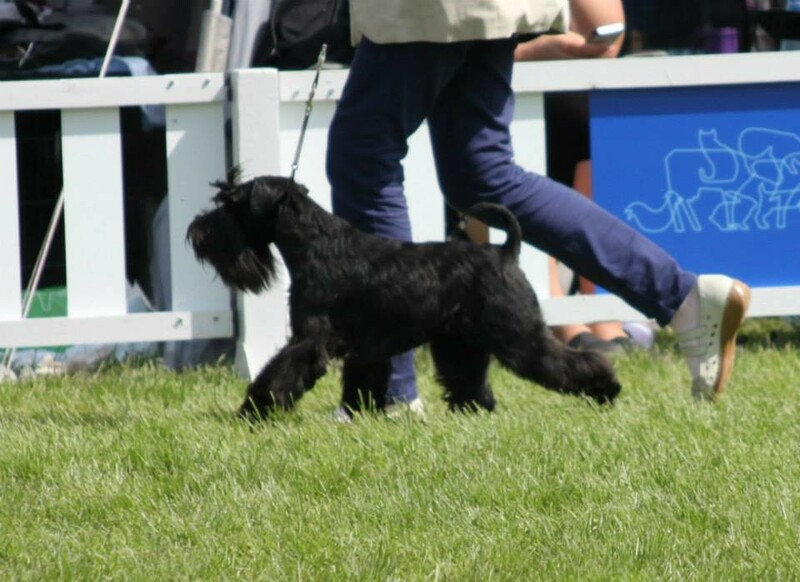 Both judges appreciated little charmer and he was Best Of Breed both days! Now he has 2 CAC. 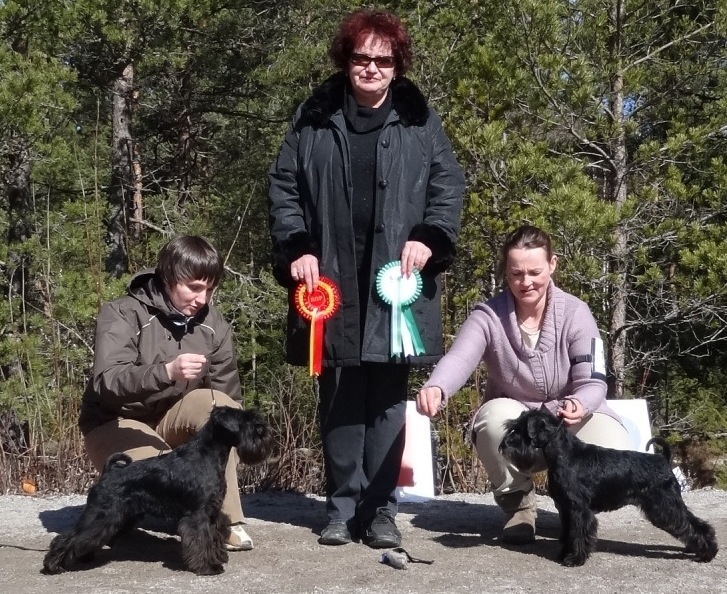 My warmest congratulations to owner Lone Gjerdalen, kennel Gregorius! 20.04.2013. Laitila. Judge Anne Sume. 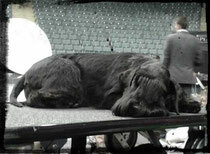 Nouzer's Magical Black (Maggy) - CAC, ,BOS. Thank you Leena for wonderful company!!! 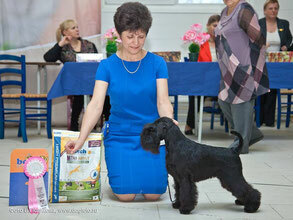 Little Britney (Raven's Tot Just Dance) took part in All Breed Dog show in Saint Petersburg. She was shown in puppy class, was Best Puppy, and later became Best In Show Puppy! Congratulations Marina and thank you for wonderful work! 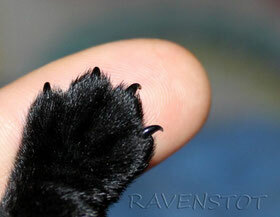 In February were born three Raven's Tot litters. I want warmly congratulate our I-kids! On 12 of february they turned 1 year, congratulations! Our little princess Lyyli - the only puppy from H-litter, turned 2 years on 16 of February. Congratulations! 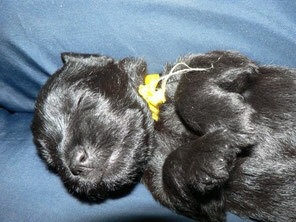 And finally, big anniversary selebrate our A-litter on 19 of February, it is their 10th birthday! Warmest congratulations to all our Raven's Tot kids, wish you many healthy and happy years! 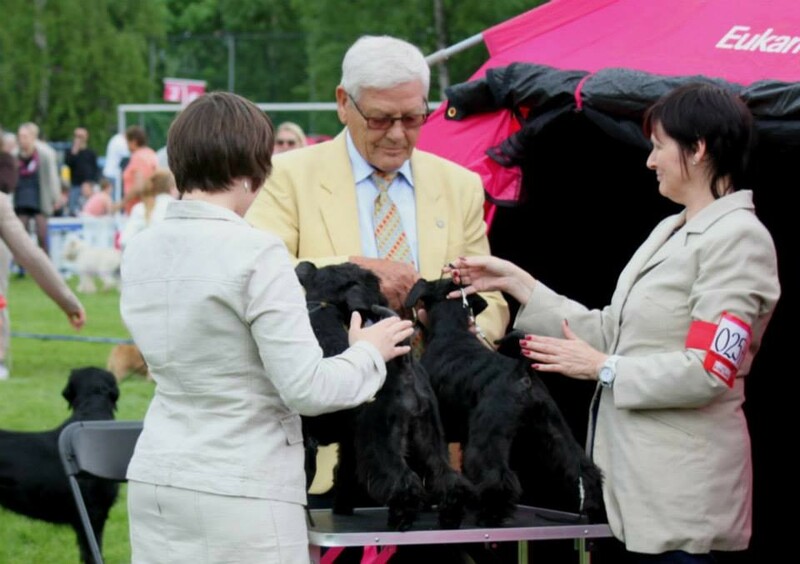 This Sunday we took part in Turku International Dogshow with Nouzer's Midnight Black (Mishka) and Raven's Tot Her Royal Higness. Also Mishka's sister - Nouzer's Mysterious Black was shown in Junior Class. Judge was breed specialist Carmen Gil Polo (kennel Gilthov) from Spain. 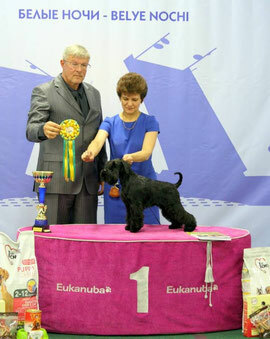 Nouzer's Midnight Black (Mishka) was 2nd in Junior class with exc. 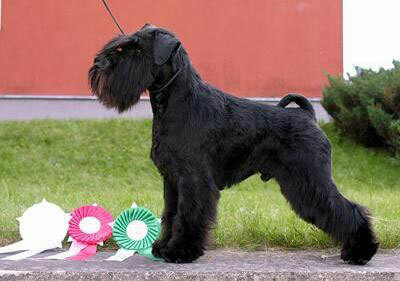 Nouzer's Mysterious Black (Muru) won junior class with exc. and SA, was 2nd best female with res.CAC! Mishka and Muru are kids of Raven's Tot Midnight Bolero x Raven's Tot Fine And Dandy. 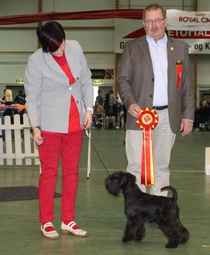 Raven's Tot Her Royal Higness (Lyyli) got exc and was 3rd in Intermediate class. Thank you my friends for wonderful weekend! 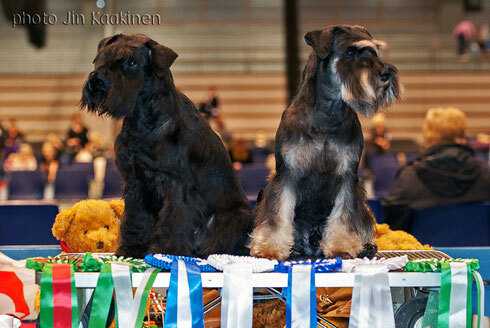 Today we took part in wonderfully organised specialty show in Turku. 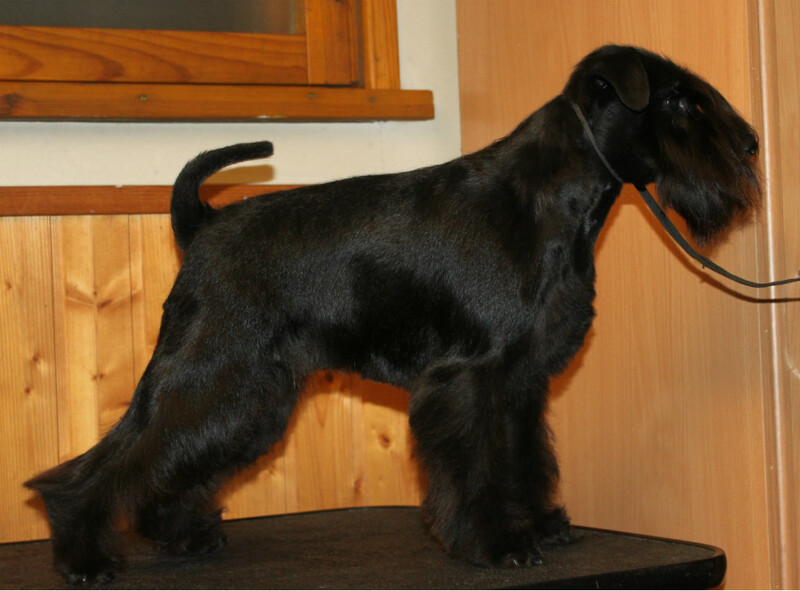 Judge was breed specialist Mario Gil De Biedma, Spain (kennel Mansopelegri). Britney (Raven's Tot Just Dance) took part in the show for the first time. Marina made wonderful work with her in the ring and they looked like professionals. Britney was BOS-puppy on the show. 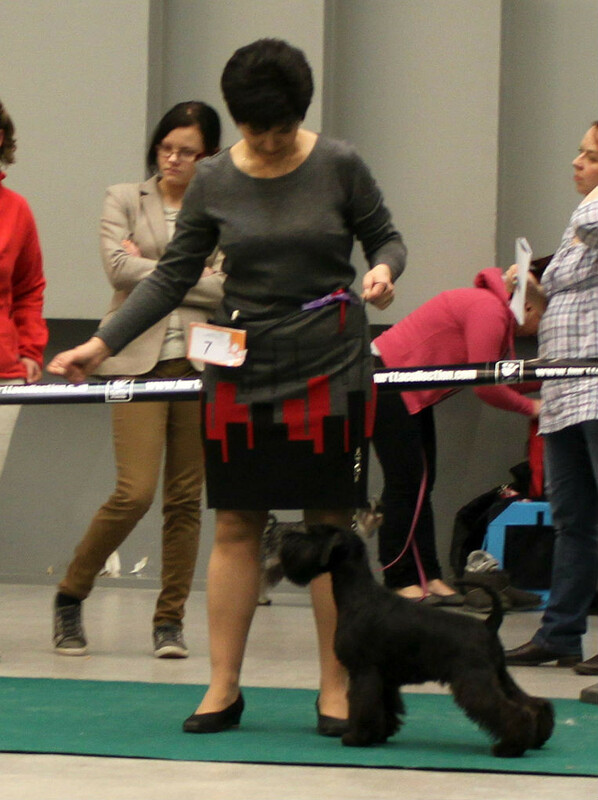 Lyyli (Raven's Tot Her Royal Highness) was first time in adult class. She was full of drive and it was real pleasure to show her. This super-hursh girl got excellent in intermediate class. 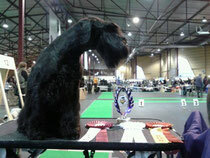 We had wonderful day in really warm atmosphere, congratulations to winners and huge thanks to organisers of the show.